🔥 Local Ranking MAGIC! 🗲 PCN/PBN Links 🗲 Real Traffic Sites! Introducing the Ultimate Weapon for Ranking your Local Keywords. Level-Up your Local SEO with our one-of-a-kind Local Citation PBNs! Everybody is asking... What the heck is a PCN? Expert Juice (AKA E-A-T) since the inception of our PCN. 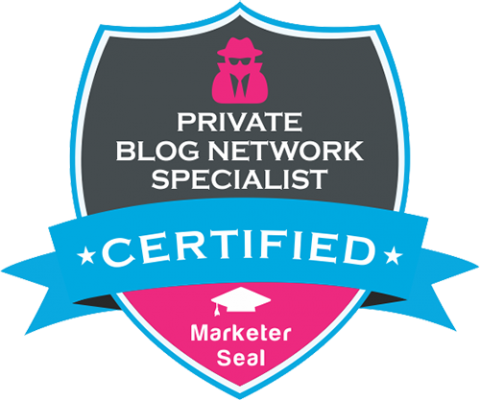 Little did you, we've been giving you EAT (Expertise, Authority, Trustworthiness) in all our Guest posts since the beginning of our PCN network. All of our posts link out to your business as a Trusted Expert or Authority on the Topic being discussed in addition to other high authority sources. This strategy places your business in "good company" with other relevant authority sites. Now that it's common SEO knowledge that EAT plays a role in ranking websites, it's also a reason why our posts actually rank so well in Google! A Report of the Links we create! We only use USA-based Writers! We add NEW site every month! Collect Them All! What is the difference between your private citation network and regular citations such as yelp? The difference is that anyone can get a Yelp citation and normal citation links also lack contextual relevance, so despite the authority of Yelp, the power of its citation link isn't as strong as you think. We have a private network of Yelp-like sites, that give you exclusive citations, plus a high-quality article with each one to give your citation contextual relevance. So the result is a very powerful contextual relevant and local relevant backlink. Is this service only for local businesses? Yes, this is only for actual businesses. Businesses that have a verified Google My Business account. No fake businesses, no PO Boxes. This is NOT for Rank-and-Rent or Lead-Gen websites. MUST HAVE A VERIFIED Google My Business Listing! MUST BE A REAL BUSINESS! I will phone verify. No. This is only for local Businesses. If I buy more than 1 post, do they go on different blogs? Yes, we have a small network of these types of sites. We'll grow the network as our orders grow. What countries will this work for? USA prominently, but we can also accommodate other English speaking countries. Note that our sites all have USA majority focus and relevance. Great work. I have ordered more than 10 times and I am always happy. Point is these blog and citation links might not get me on page 1 but they are a good link and very realistic. Looks very natural! Excellent service! My guest post and citation were done exceptionally well! Great communication too...fixed a few minor issues after completion in lightening speed! Will definitely use again! Can't say enough how good these are. I'm frustrated because I'm trying to leave a 5 star review for Local Ranking Magic, and I'm not able to see the interface on the BUYER RATING page... only on this USER COMMENTS page.So for whatever it's worth, I'll post it here, at least for now....-------------------------------***** (5 STARS)The article page for this gig, Local Ranking Magic, is super impressive, to put it mildly.It does not look spammy in the least. I am rather blown away by how good it is.The citation listing page is also top notch. These guys are good.Have I noticed a bump in the rankings?Lookit; SEO isn't a sudden, overnight kind of thing, so I don't expect to get much of an immediate bump from a single $40 investment, especially for a business in a large market. If you are expecting that, from ANY VENDOR ON THE WEB, you'll be disappointed.Will I buy this service again?You betcha. Again and again. Over time, I expect they will have an impact, along with any number of other plays I'm making. SEO is a long game nowadays. If you are in it to win it, you will practice persistence; yo. Well hello, there folks. Are you looking for a little magic to sprinkle on your local SEO efforts? If so, I have just the thing. Our Local focused PBNs are a clever mix of Guest Posting and Citation Directories. All websites need some magic, so give yours some! Sorry, no refunds after delivery.